– research within a document/edition. 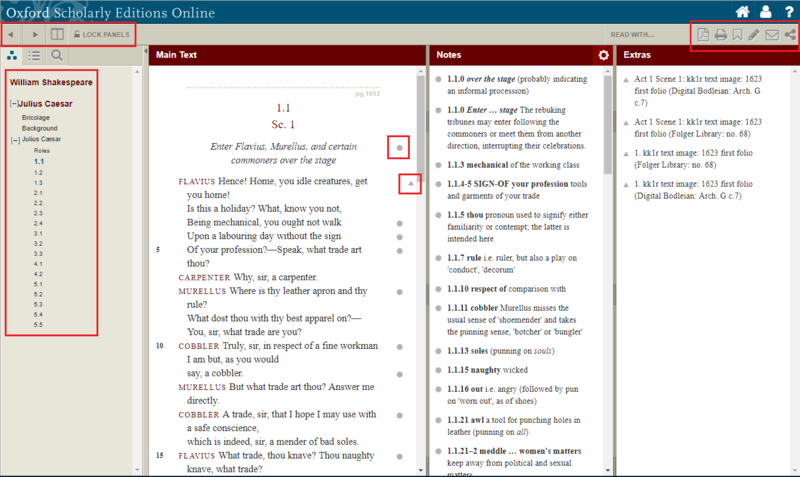 You have the choice to display three, two or one panel: the Main Text, the Notes and the Extras [top left]. To keep panels scrolling together, e.g. 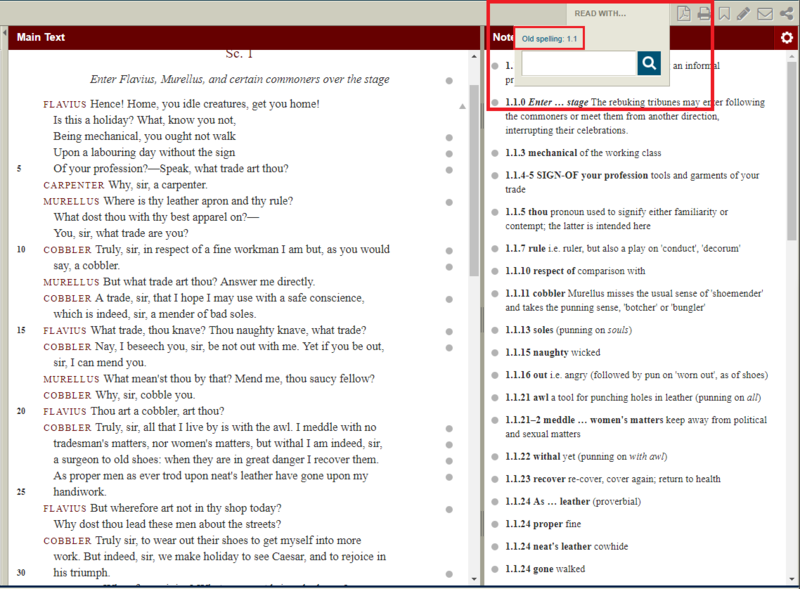 when you read a main text and its notes or two parallel texts, click on Lock panels icon [top left]. Next to the sentences you will see circles and triangles. The circles are related to the notes and the triangles to the Extras. 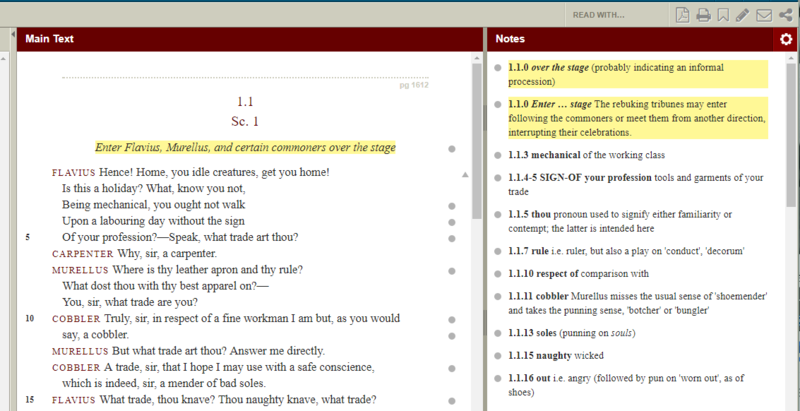 The Notes come from the Editor, they are commentaries and performance notes. You can select and deselect. 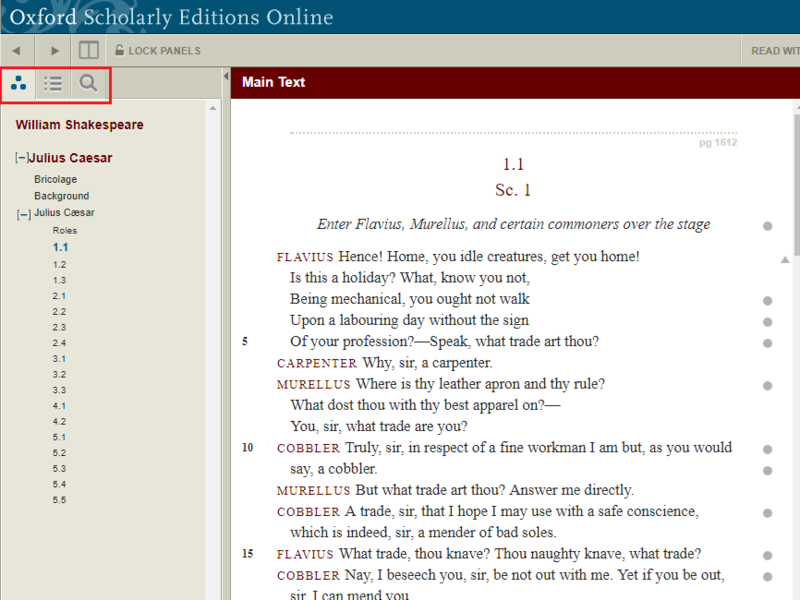 Click on any note symbol ( ), to highlight the matching line of text in the Main Text panel. 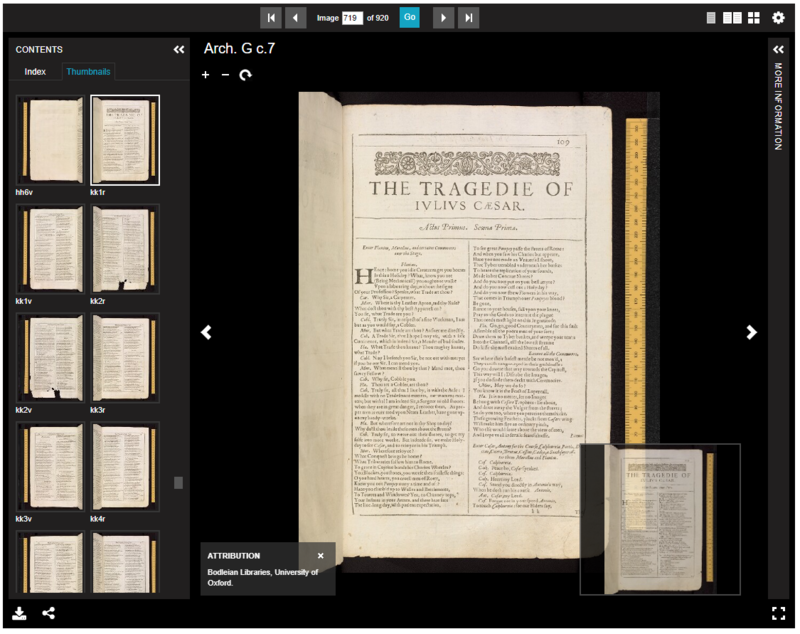 The Extras (on the right side), contain the first print edition scanned (from the Bodleian Library, the Folger Library, the British Library, and Internet Shakespeare at the University of Victoria). The link redirects to the scanned version. 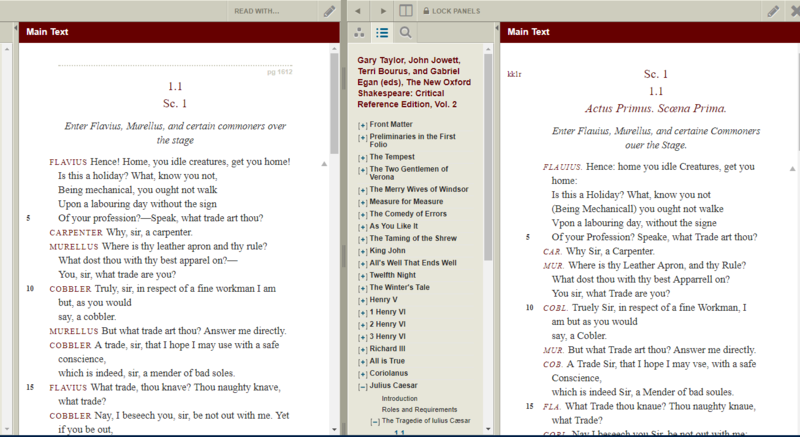 On the top right side of the screen, click on Read with… and then you can choose to compare your text with the old spelling text or with another writing of Shakespeare. Then you can start to compare them. 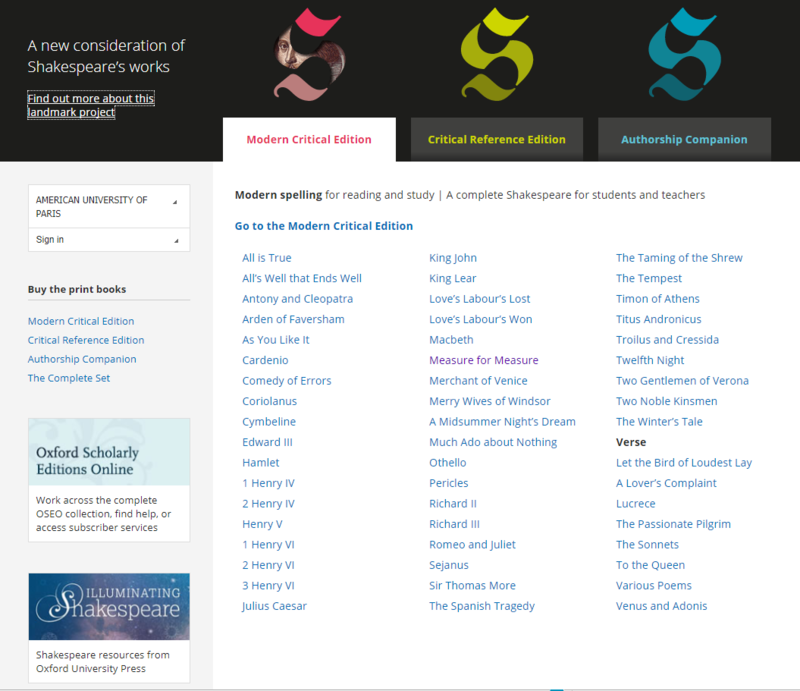 You can also browse by works, editions or authors. For the last one the list of all the authors identified by The Oxford editorial team identified as collaborators, will appear.